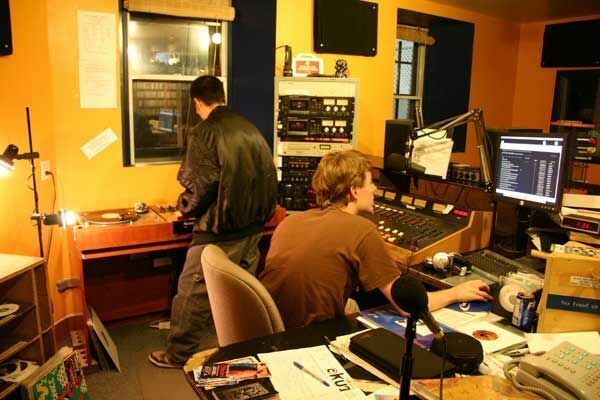 In 1995 DJ Static and Professor Groove were McGill University students in Montreal, volunteering at the college radio station CKUT when, in what can now be interpreted as a blessing from the musical gods, they were paired up to fill in 15 minutes on the air. The following year Static (nÃ©e Michael Lai) and Professor Groove (nÃ©e Nick Foster), a self-described funk head for life, would turn hip-hop radio on its head with their genre mashing show Wefunk. "Funk is one of the foundations hip-hop was built on. We realized there was a connection between the music we both played," says Static. "We wanted to uncover all original funk and soul samples and their hip-hop tracks," says Groove. The golden era of hip-hop's love affair with funk may have been nearing its end in 1996 but with Wefunk the marriage of both genres continued to flourish under Static and Grooveâs skillful hands. An outstanding decade later Static and Groove have not deviated from the original recipe. They are still exploring (pro-bono) the past, present and future of Black music from McGill University every Friday night from midnight to two in morning. Listeners continue to be blown away by Wefunk's variety and scope of old-school and new hip-hop, funk, rare grooves and soul records. What has changed since their humble beginnings is the make up of their listeners. Thanks to the guys jumping on web casting long before it became ubiquitous (www.wefunkradio.com) Montreal's best-kept secret has spread into the US, South America and Europe. Wefunk's status reached international appeal in 2001 when Apple included the show in the iTunes urban radio directory. "We've been touring Europe for the last couple of years and ironically, we're bigger there than we are in Montreal now," says Groove whose own introduction to funk started back in high school in Connecticut listening to early Kool and The Gang and James Brown on college radio. "What worked for us from the start was that we let each other focus on our strengths.That's funk for me and hip-hop for Mike," he explains. Dedicated fans have donated bandwidth space, which allows the show a full online archive. "I taped all our shows from day one," says Groove. "There were radio streams online but as far as having mix shows you can hear anytime and have a complete track listing, that was rare in 1999." They credit the web, as much as their impeccable taste in music, with their constant surge in popularity. "We have people writing to us from places like Estonia and Latvia where they've never heard music like this before," adds Static, who came to the US from Hong Kong at age 11 and credits hip-hop music with helping him learn English. "We're not authorities but I feel like we have to lay out what came before Jay-Z so people have a frame of reference."